First, ink the entire cardstock using the Versamark pad and cover with embossing powder. 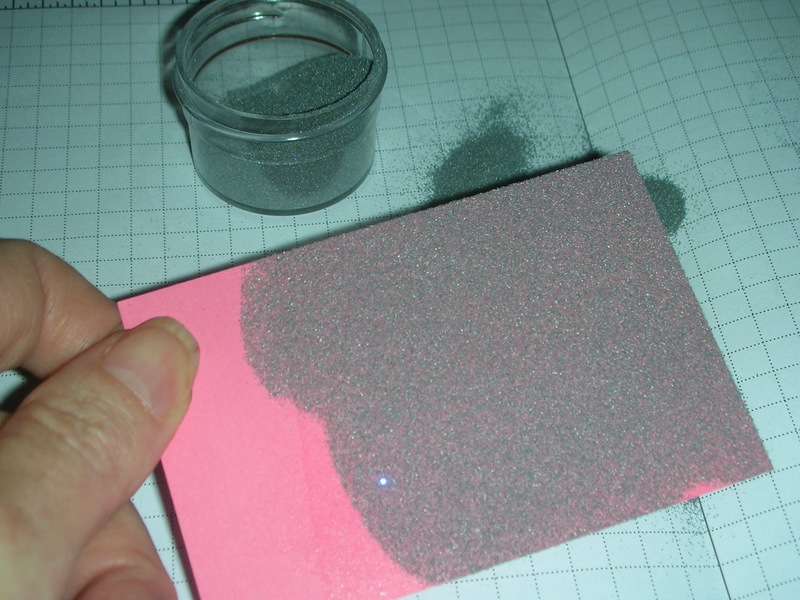 You can leave a corner area clear for holding onto the cardstock. 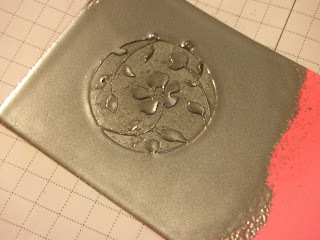 Emboss using heat gun. Repeat the process two more times - inking the entire area, covering with embossing powder and heat setting. 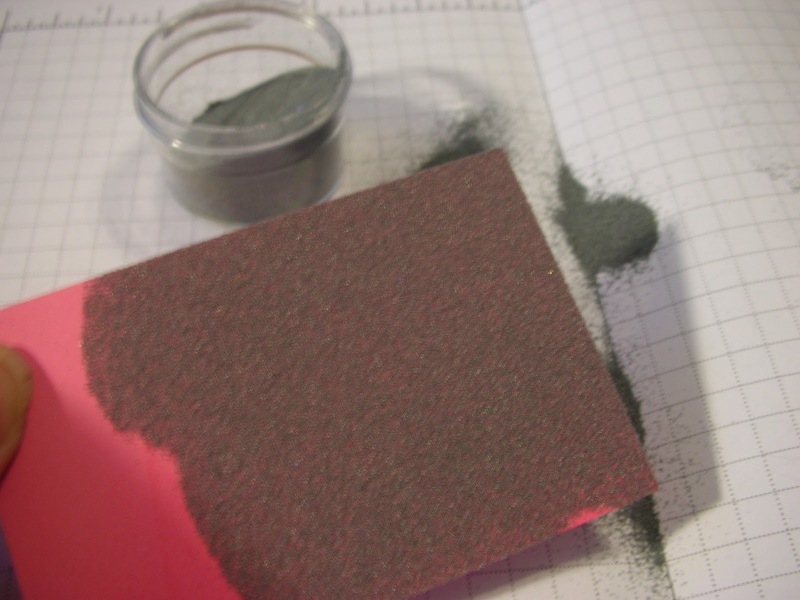 By the third time, you should see that the embossing powder is becoming fluid and moves a bit. 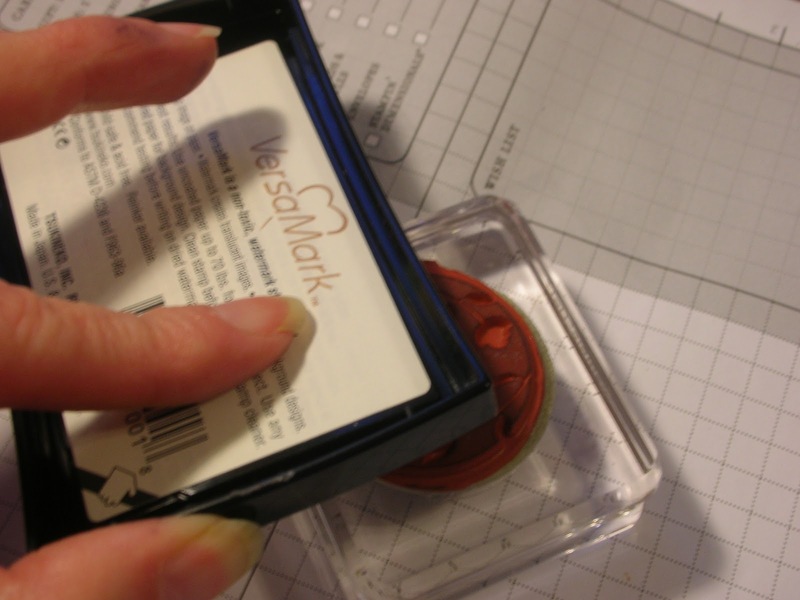 Take your Versamark ink pad and ink your image well. Press hard to get into the recessed areas of the stamp. 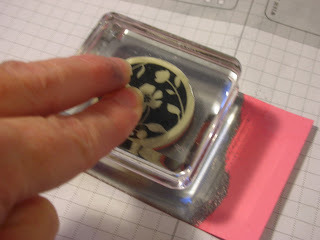 This will keep the stamp from sticking in the embossing powder. 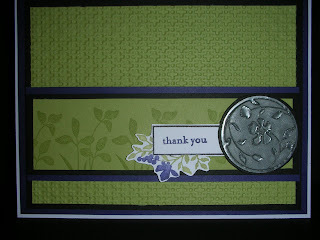 Reink the cardstock one final time, cover with embossing powder and heat set. Keep the heat on it until it is very fluid. 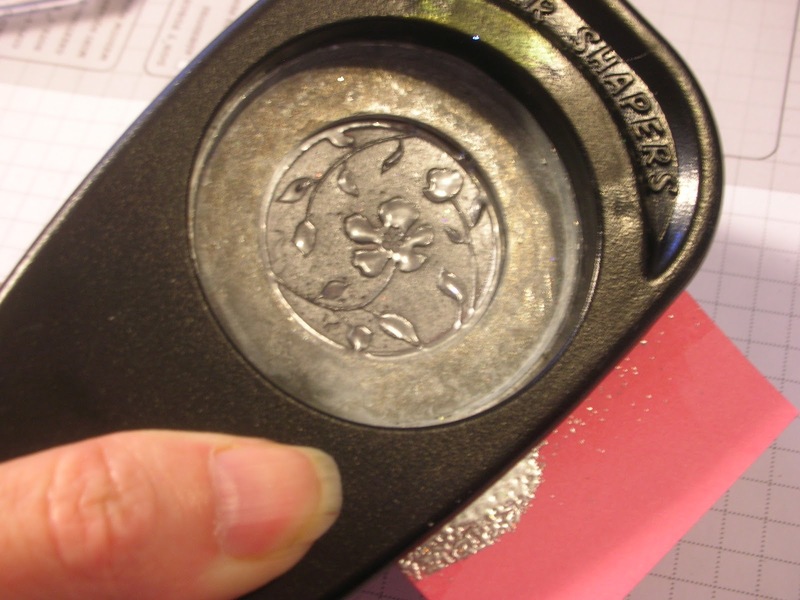 Quickly take your stamp and press it into the fluid embossing powder. Hold it there for a few seconds and then remove. Be careful not to wiggle it too much. Your image will then look like pressed metal. Take your punch and punch out your image. 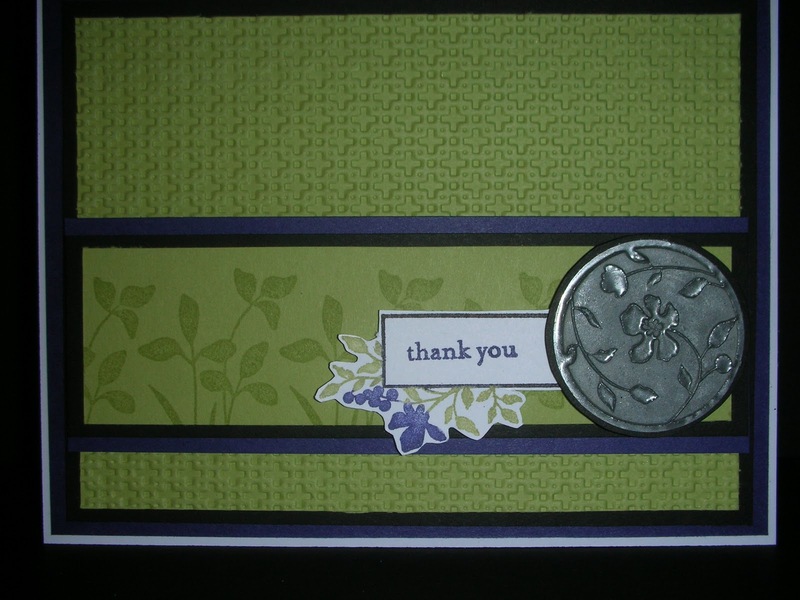 Now design your card and place your faux metal piece onto your card. Fantastic technique! 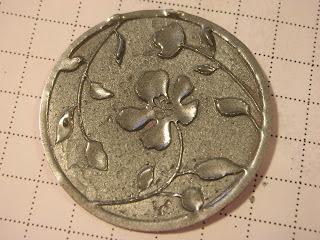 I'm going to give it a try - love the way it turned out!